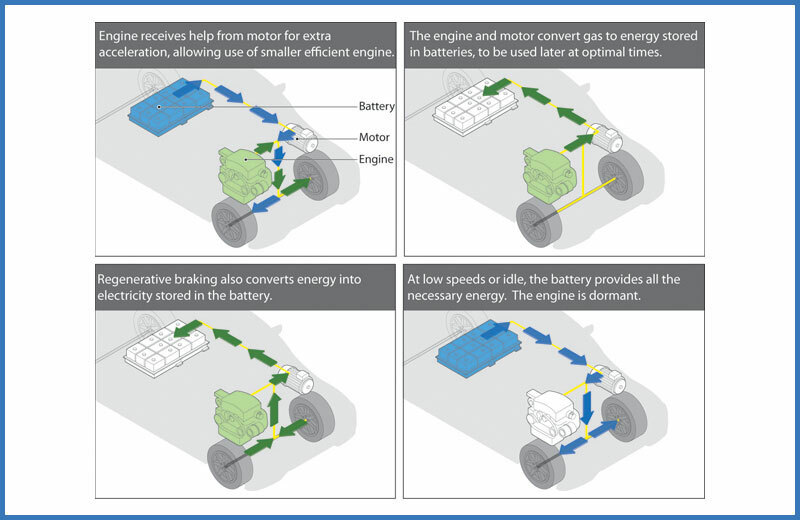 A step-by-step technical illustration showing the process of regenerative braking in a hybrid vehicle. 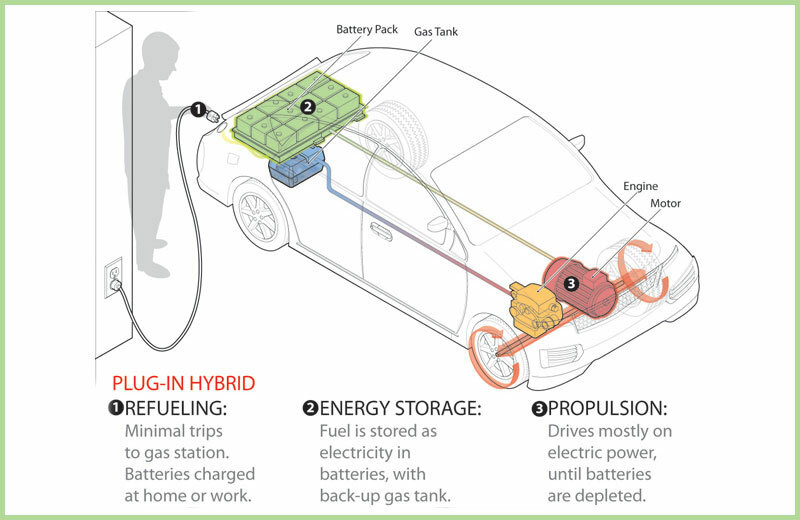 A technical line drawing of a plug-in hybrid vehicle showing consumer pumping fuel. 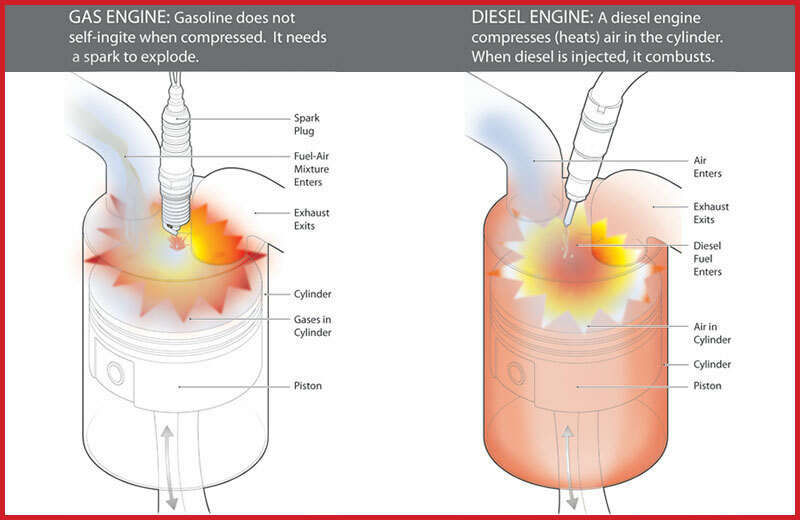 Comparing an internal combustion engine that uses gasoline to a diesel engine. 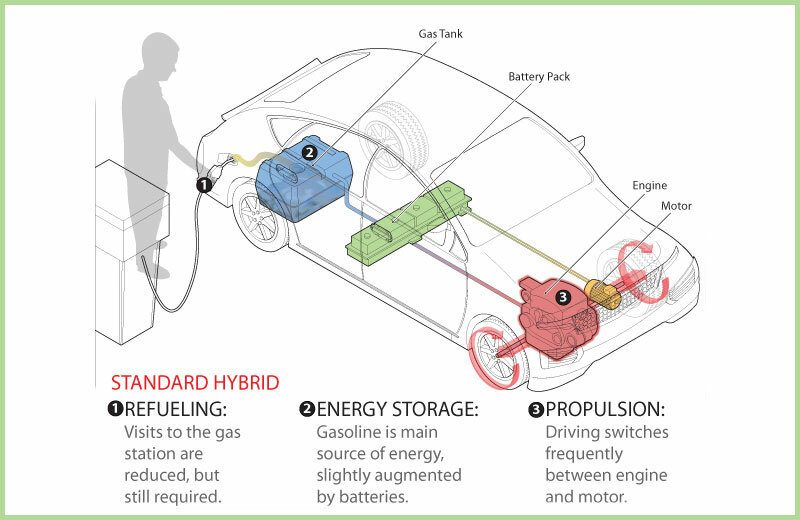 Client: Hybridcars.com: A series of technical illustrations showing the various new vehicle technologies such as plug-in hybrid, standard hybrid, electric and diesel.